Every week, I have conversations with both businesses and nonprofit organizations to discuss what truly makes them unique — their differentiator or point of difference. Through these discussions, I’ve realized that defining differentiation is a bit more complex. Simply identifying one point of difference and building a message around it can be challenging, because customers are all at different stages of the buying cycle. This creates a spectrum of reasons of why people choose to work and support a business/organization, and using one general message will not speak to everyone. Rather than using one point of difference, it is important to distinguish the unique value points at various stages of the buying cycle and market them accordingly. This approach helps speak to the customers that are deciding to work with a business/organization at the beginning, as well as speaking to the existing customers who remain for the long term. 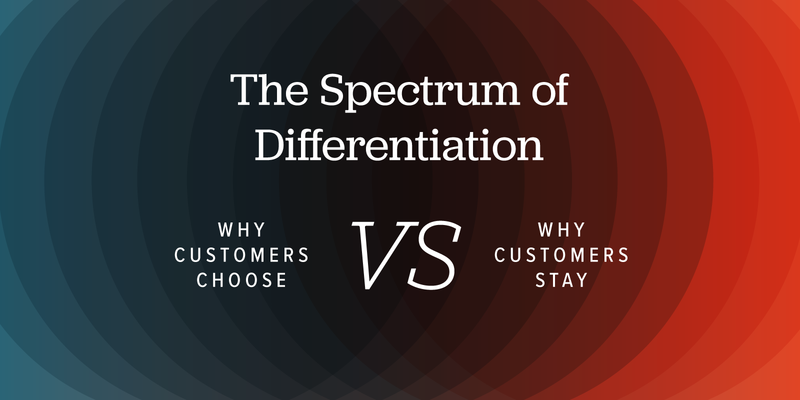 For instance, one of the most common answers I hear when asking businesses and organizations the question, “Why do customers choose you or what makes you different?”, is that they provide great customer service. The business/organization says they have friendly, helpful staff that can tackle any problem in a timely manner. This is certainly an important and needed point of difference for you to be successful, but there are a few reasons this can be problematic. and perhaps most importantly, it may be why customers stay with a business/organization but it is likely not the reason why they initially chose it. 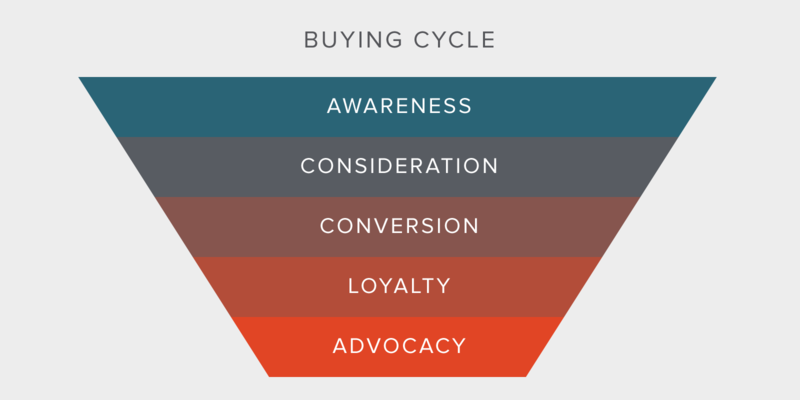 There are many different versions, but the buying cycle can be divided into five sections: awareness, consideration, conversion, loyalty, and advocacy. Understanding where customers are on the cycle and distinguishing specific messaging for each section can provide better results. Let’s look at some of the reasons why people likely choose businesses/organizations versus why they stick around for the long haul. As you can see, this list can help clarify how a business/organization can initially present itself and then how they speak to a customer over time. As a relationship progresses, customers value different aspects about your service and organization. How you market and differentiate yourself is represented through your website, brochures, sales conversations, and ongoing customer relationships. Building a list of “why they choose” versus “why they stay” is a great exercise both for marketing and sales purposes as it allows you to tailor your messaging and emphasize several differentiators at various stages throughout the process. This brainstorm will help you determine the types of content you create for customers at the beginning of the buying cycle and pre-sales relationships, compared to the content and experience you create for existing customers as well. Where do your website users land on the buying cycle? 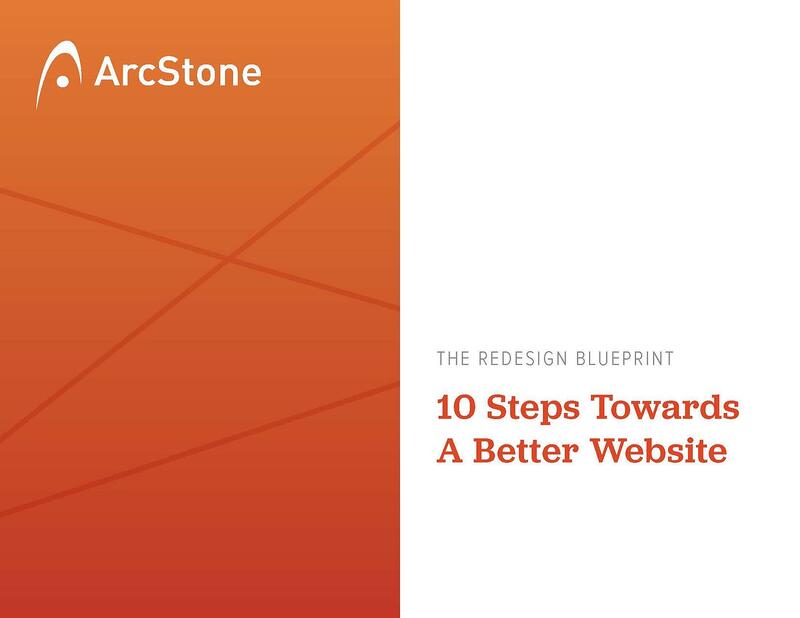 Websites take a lot of work, and it’s difficult to know where to start. Check out our 10-step checklist to help you get started!